I often speak about public schools as democratic institutions. Now this sounds great but what exactly does that mean and why is it so important. Since here in Tennessee we’ve got a bunch of school board elections coming up, this seems like as good a time as any to discuss it. Though these races are often overshadowed by more high profile offices, they are every bit as important as who sits on the local city council or who represents you up at the statehouse. School boards are responsible for establishing the basic organizational structure of the local school system. Taking input from the community they craft policy reflective of how residents want their children educated. They oversee the dispersal and usage of funds. They act as oversight to ensure that schools are meeting the goals as established by local citizens. They act as policymakers, administrators, and representatives. Some of you may be thinking, “I don’t have kids in the school system, so this doesn’t really affect me.”. Truth is we all have kids in the school system. These children represent the future make up of our communities. The quality of service received in the future depends on little Johnny or Jane getting a proper education today. Today’s student represents a communities future police force, ambulance crews, and firefighters. They will be future business owners and community leaders. The people who will be making policy decisions for the entire community are sitting in classrooms right now. It’s pretty important that they are getting a good education and one that is representative of the local communities mores. Back in the early 80’s a commission was formed by then Secretary of Education T.H. Bell to study the country’s educational system. The report they created, A Nation at Risk, was like a starter gun to the reform movement. Despite its results being debatable and contradicted by a later report, this report set off a tsunami of education reform efforts. Luckily not everybody went crazy and some folks tried to hold on to some sanity. These folks quickly became targets for the reform movement. It started first with the unions. After all, they were an easy target. After years of doing exceptional work they had slipped into bloat which made them easy to attack. Over the last few decades we’ve seen collective bargaining rights, pay roll deducted dues, right to representation all come under attack. 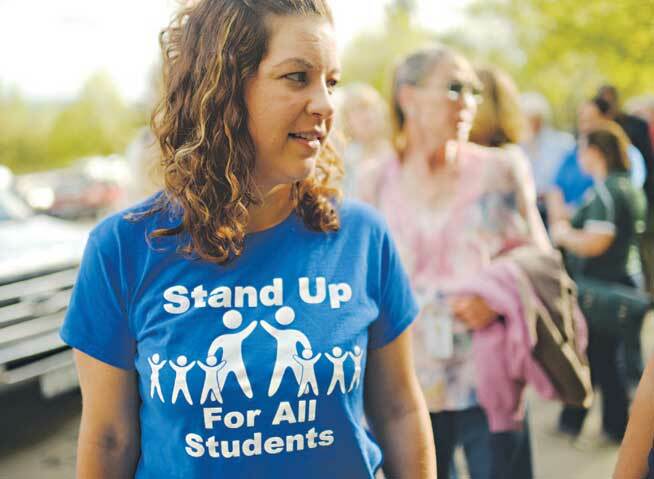 Today, and please don’t take offense my union friends, the unions remain as but a shell of their former selves and serve mainly as straw man for the attackers of public education. I pray that changes and I’ve seen several signs of late that signify unions may be crawling out of their stupor, but the reformers have won this round. The next target was teachers. The amount of scapegoating we’ve seen over the last several decades is mind boggling. By characterizing teachers as lazy, undereducated, un-willing to change, and basically ineffectual the reform movement has nullified the voice of the most qualified to speak on the effectiveness of our education system. I always like to say, it’s like trying to run a restaurant without ever talking to the waiters. Its lunacy. It is worth noting though, that when tragedy strikes who rises to the challenge? The past couple of years have left us with many heroic images of teachers at Sandy Hook and other national tragedies. Despite being vilified by reformers, when called to make the ultimate sacrifice teachers rarely fail to put their charges first. Vilify them all you want but they daily prove their adage, “It’s not just a job. It’s a calling.” It’s time to give them their voice back. The next target is the local school board. It’s easy to go to 50 different State Departments of Education, infiltrate them with like believers and then pass legislation to put in place your privatization schemes. If you think that’s trending into the land of conspiracy nuts then I urge you to follow the money. The last 5 years, thanks in a large part due to Race to the Top, there has been an explosion in the education market. There are more consultants, curriculum creators, testing companies, test preparation companies, Charter operators, teacher temp agencies, and the list goes on, in the history of public education. There’s a lot of green in the air and getting those local yokels to buy into your snake oil is hard work. Best get rid of them. Well if infiltrating worked on the state level, why not on the local level. Again think I’m getting into the conspiracy nut realm? Pull the bios for the assistant commissioners of the Tennessee Department of Education and note how many of them have Teach for America on their resume. I feel pretty good that you could do the same with Florida, Louisiana, North Carolina, Arizona, Colorado, Connecticut and find a similar reformer common thread. Take a look at Atlanta’s recent school board election. (http://www.atlantaprogressivenews.com/interspire/news/2013/08/14/teach-for-america-agenda-advanced-by-four-alumni-seeking-aps-seats-(update-1).html) It is nuts, just not in a way that one would think. 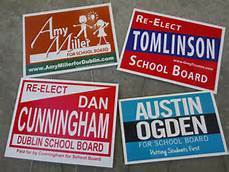 The last several years the amount of spending on School Board races has gone through the roof. Look at this article from 2012, (http://www.nashvillescene.com/pitw/archives/2012/07/16/money-transforms-school-board-race-into-thunderdome-for-elites) Seventeen candidate’s raising $377,703 is a whole lot of money. People and organizations don’t keep their money unless they make sound investments. The question here, is what exactly are these donors investing in? My opinion is that they are investing in a subversion of the democratic process but you’re free to form your own opinion. Keep in mind that if reform candidates win these elections our voice as citizens is lost. They will follow the will of outside forces and even cede control to state agencies heavily influenced by outside voices. Decision that are not reflective of the local community will be made. Take a look at Jeffco County in Colorado. (http://www.denverpost.com/news/ci_25846728/loud-crowd-greets-jeffco-board-at-superintendent-hiring). It puts decision making in hands of fewer people and entertains less contrasting views. So go our schools, so goes our communities. Are you starting to realize just what’s at stake? So the question becomes how do we make sure that the democratic process is not subverted. The answer is simple. We make educated votes and we help others make educated votes. I know it’s summertime and the last thing parents want to think about is school related issues but this is important for our children. We owe it to them to carefully vet each candidate. Ask yourself, if I call them with an issue will they take my call or will they be to busy with an outsiders agenda. There are a multitude of candidate forums these next couple of months, make plans to attend and ask questions. Its the future of our community that’s at stake. All candidates are not exactly candid about their beliefs and affiliations, that’s why this vetting process is so important. They are betting that we are too concerned with vacation activities and resting up from an arduous school year to dive deeper then what they tell us. Please don’t make that a fulfilled prophecy. Please stand up and protect the future of our communities. Don’t let them do to citizen’s what they’ve already done to Unions and Teachers.